We would like to extend our gratitude towards Ms. Abha Jaiman who has recently donated clothes to Lets Nurture Organization. She found us on google and called us to take things further. We are always happy to meet people like her who share thoughts like our organization do, helping people. Kindness speaks no language and this is what connects us to people who are always ready to help others and find ways to reach them. We again thank her for her kindness and wish her all the best in life. Keep Smiling. We would like to extend our heartfelt thanks to Ms. Ananya Singh for their kind gesture. We are glad that she could find us on Google, and connect to us through Lets Nurture Organization. We were pleasantly surprised when she chose to drop in our office to give her share of donation, indeed it was a pleasure meeting her and sharing thoughts on the same line. We were more than happy to receive her donation in form of the clothes which were later distributed to the families nearby who were happy to have some ‘new’ clothes! If you fall in the second category then be thankful to the almighty and keep doing it. It’s not that one need to be really rich to come forward and be a helping hand to lesser fortunate ones; it’s just that one needs a big heart and willingness to do play their part. And with this beautiful aim Lets Nurture organization keeps its spirit high and keeps on serving the society. We love this feeling of giving and very much thankful to the lovely people out there who keep finding their way to us and keep donating, giving us strength and motivation. Few days ago we went ahead and brought smiles on the faces of people of Vastrapur and S.G.Highway area, where our employees – Milan & Pradeep went for clothes donation. It was good to see the enthusiastic kids, choosy women and some undemanding folks who were much happier to interact with us. The warmth in the smile and hope in the eyes is always palpable. There is always fun and emotions both at a same place. While at Vastrapur we could find women choosing the clothes for themselves (almost engrossed) and not even looking at the clothes meant for men, one of our employees, Milan asked them if there were no men in their houses, they looked at him, giggled and responded in unison, ”of course, there are men, why wouldn’t be? They are all away at work”. We laughed at their quick response and asked them to select few clothes for the men too. It’s always a delight to see people coming forward and appreciate us for what we do. What else we need? 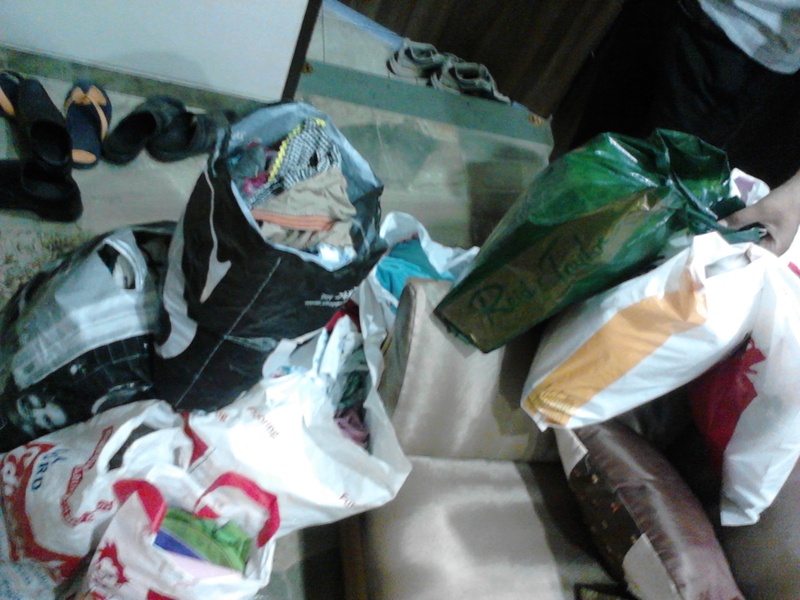 We would like to express our gratitude towards Mr. & Mrs. Srivastav for clothes donation. While everyone is busy with their lives and doesn’t have time to worry about anything else, Mr. and Mrs. Srivastav made good use of the google found Lets Nurture.Org and contacted us to make the donation. 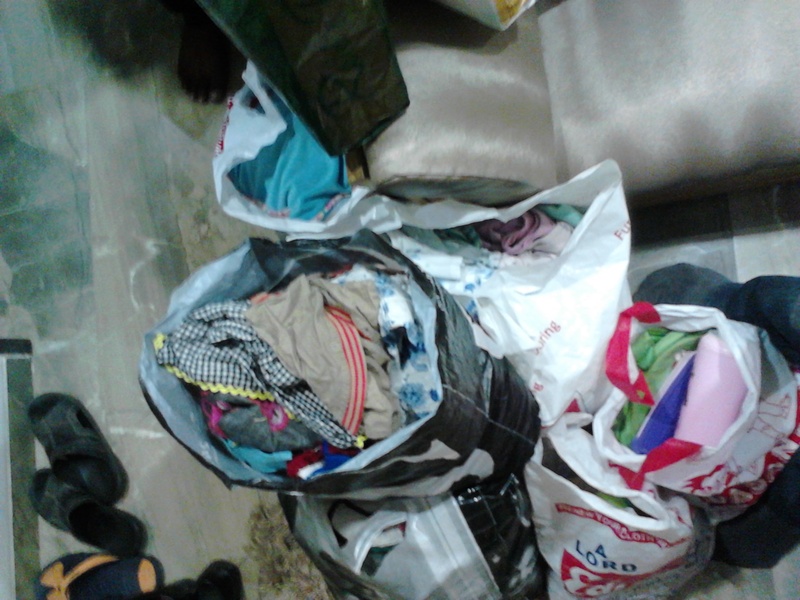 We were only happy to reach their residence and receive the bundle of the clothes. Needless to say, it was a good feeling to connect with them. A couple who is always keen to help the people in one or other way and we really appreciate this thing. We are highly thankful to them for their kind gesture and wish them a healthy and beautiful life ahead. Lets Nurture Extends Gratitude Towards Dr. Sanjeev Varshney for Donating! No matter how small or little the value of donation is, the gesture in itself is worth mentioning. Contributions and charity play an important part of a human’s life. No one has ever become poor by giving!Moreover, the joy that the receiver gains is priceless. We, at www.letsnurture.org, have always practiced spreading the joy of donating to the less privileged people in the society. And as they, charity sees the need and not the cause, we make sure we help the needy without waiting for a cause. 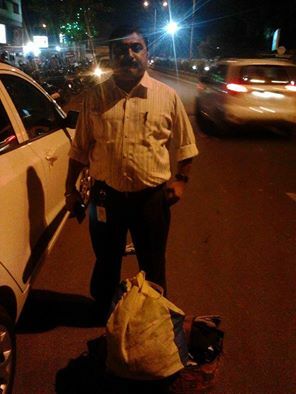 Dr Sanjeev Varshney got in touch with us as he wished to contribute towards the less fortunate people by donating some clothes. 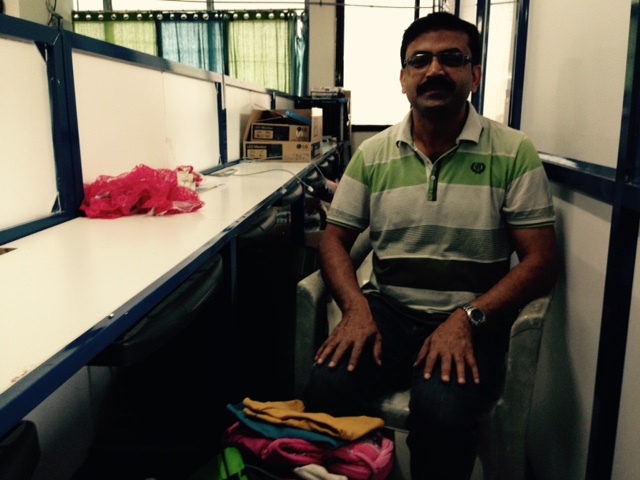 We welcomed him to our office premise and gladly accepted the bundle of clothes he brought along with him. We chatted about the ills of society and the problems these class of people face due to lack of support. Ms Mohini Renders Umbrella and Summer Clothes to the Needy for Relief in the Summers! The scorching heat of the summers can drain the life out of a person. The lesser privileged neither have the shade over their heads nor proper clothes to cover them up from the burning sun. Most of us tend to ignore the plight of the less unfortunate as we are too busy fighting our own battles. However, we always have angels lending the helping hands and messengers helping them in their noble work. 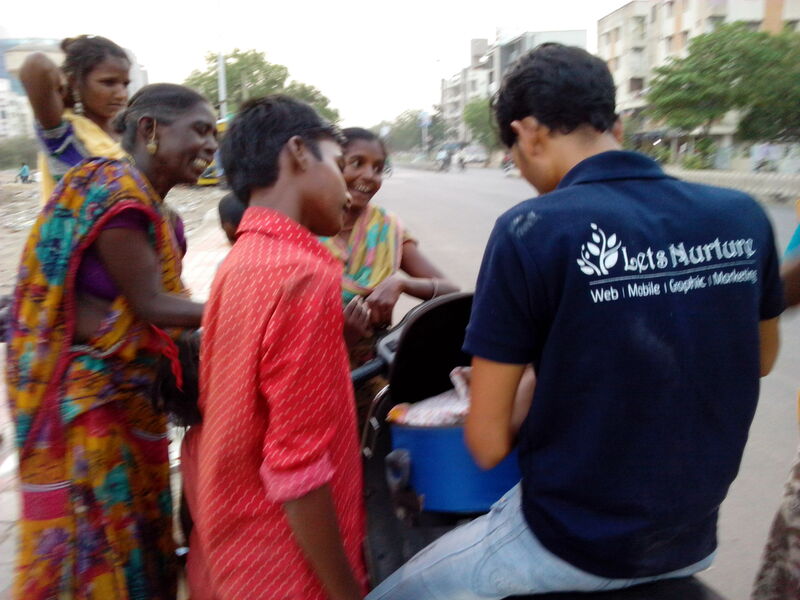 Lets Nurture.org has always believed itself to be a helping hand which reaches to the needy in all the ways possible. 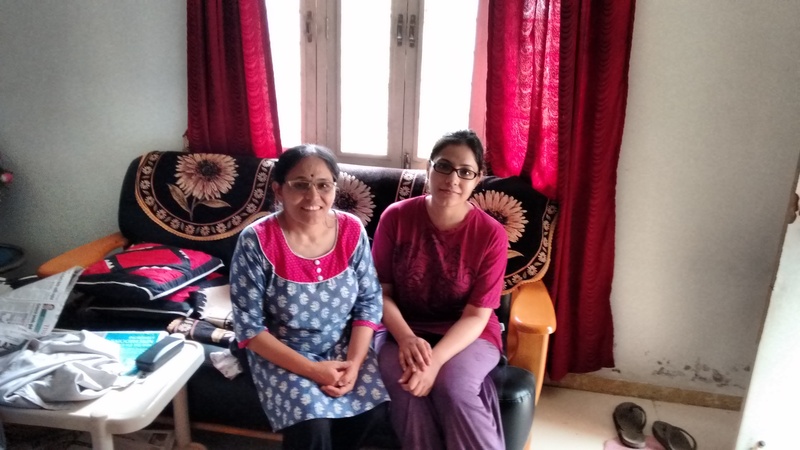 Ms Mohini reached out to us recently with a desire to donate few of her belongings. 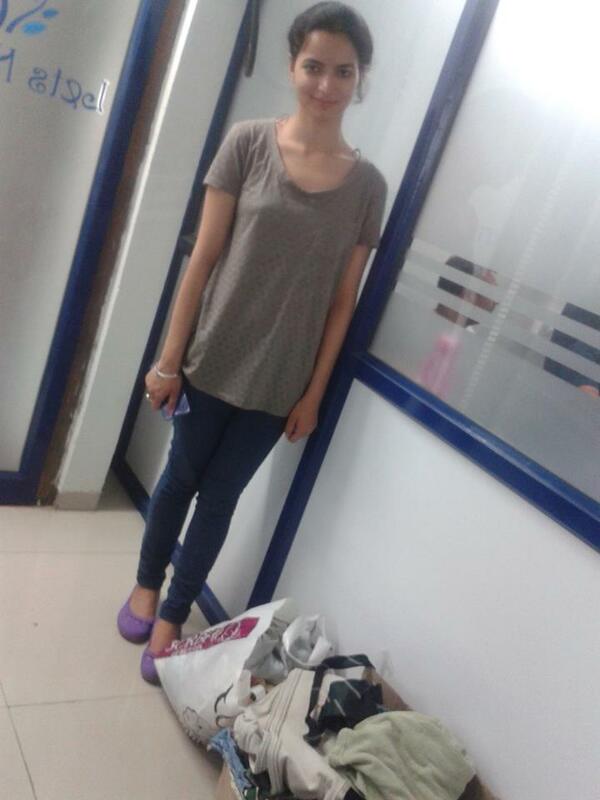 She eagerly came down to our premise with bags full of clothes and umbrellas. She belongs to London and is moving back to her place, so she decided to donate the clothes that do not fit her anymore. What a wonderful gesture! We thank her wholeheartedly not only for donating clothes but also for the thoughtful charity done by way of donating umbrellas which would help the needy in the summers and the coming monsoons. If you have clothes or other usable belongings lying around, don’t throw them away. Be the angel and donate! Reach to us at letsnurture.org or write to us at info@letsnurture.com.